Click here to view the rest of the photos from this event. 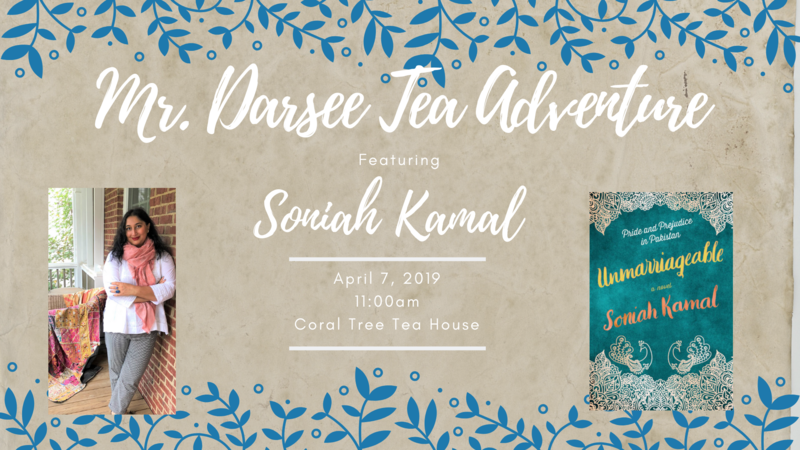 Your presence is requested at our upcoming Mr. Darsee’s Tea Adventure with critically-acclaimed and award-winning author Soniah Kamal. And no, that is not a misspelling of the Mr. Darcy with whom you may be most familiar. 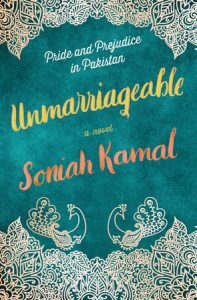 Soniah’s new novel, Unmarriageable, which is receiving rave reviews everywhere from NPR to People Magazine, does in fact feature Mr. Darsee, but in her own one-of-a-kind retelling of Pride and Prejudice set in modern-day Pakistan. 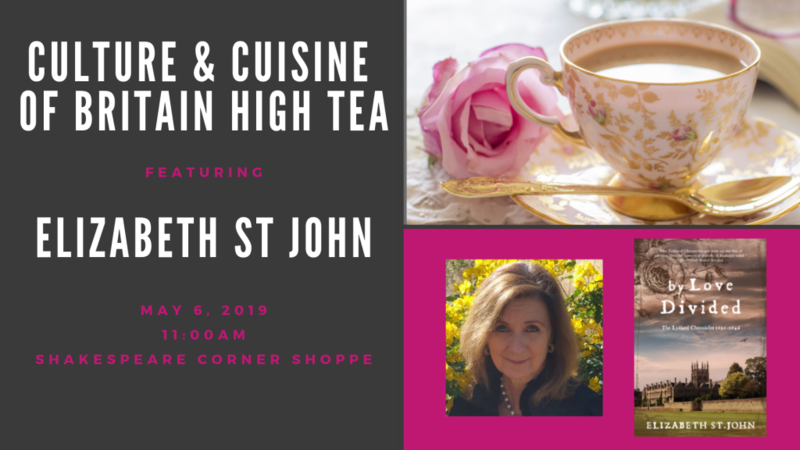 Don’t miss this delectable Adventure at San Diego’s historic Coral Tree Tea House, where we will enjoy a charming tea service while Soniah shares her take on Jane Austen’s beloved classic and the exhilarating exploration of love, marriage, class, and sisterhood. 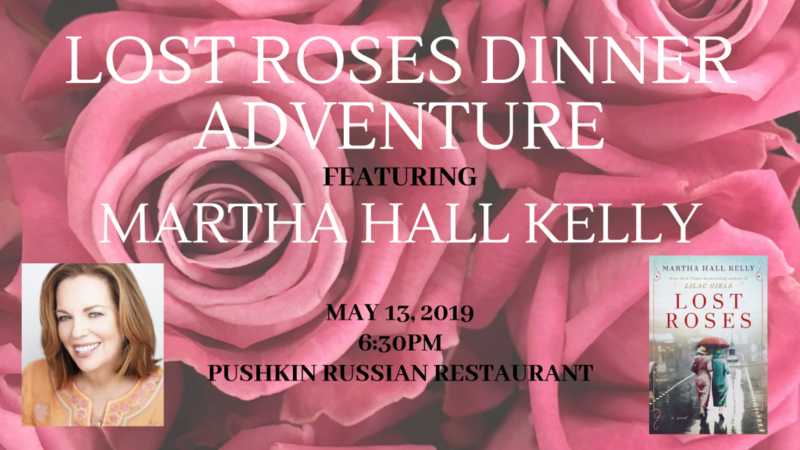 Your Adventure includes tea, tea sandwiches, Waldorf salad, brownies, scones and Devonshire cream, tax, gratuity, author presentation, book signing, and the opportunity to meet the author up-close and personal in an intimate setting. 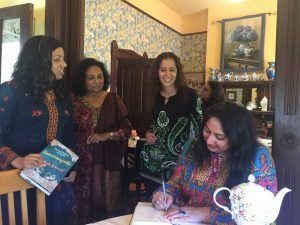 Soniah Kamal is an award winning essayist and fiction writer. Her debut novel, An Isolated Incident, was a finalist for the Townsend Prize for Fiction and the KLF French Fiction Prize. Her TEDx talk, “Redreaming Your Dream,” is about regrets and second chances. 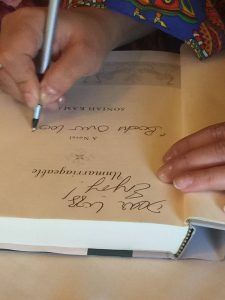 Her work has appeared in numerous publications including The New York Times, The Guardian, Catapult, The Normal School, The Chicago Quarterly Review, The Missing Slate, Buzzfeed, The James Dickey Review, Scroll.in, and Literary Hub. Soniah is the recipient of the Susan B. Irene Award from St. Johns College where she graduated with a BA Honors in Liberal Arts. 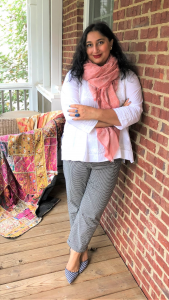 She was awarded a Paul Bowles Fiction Fellowship from Georgia State University where she earned an MFA in Creative Writing. 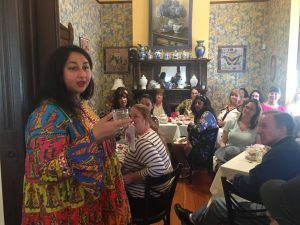 Soniah is a member of the National Books Critics Circle, PEN America and the Jane Austen Society of North America and serves as a Jane Austen Literacy Ambassador. 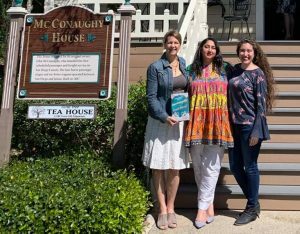 She teaches creative writing at the Etowah Valley Writers Institute, the low-residency MFA program at Reinhardt University, and has taught global literature and fiction at Oglethorpe University. Soniah was born in Pakistan, grew up in England and Saudi Arabia and lives in the U.S., New Mexico, Maryland, Virginia, Colorado, Illinois, New Jersey, California and currently in Georgia. 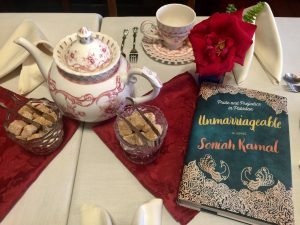 Unmarriageable: A scandal and vicious rumor in the Binat family has destroyed their fortune and prospects for desirable marriages, but Alys, the second and most practical of the five Binat daughters, has found happiness teaching English literature to schoolgirls. Knowing that many of her students won’t make it to graduation before dropping out to marry and start having children, Alys teaches them about Jane Austen and her other literary heroes and hopes to inspire them to dream of more. 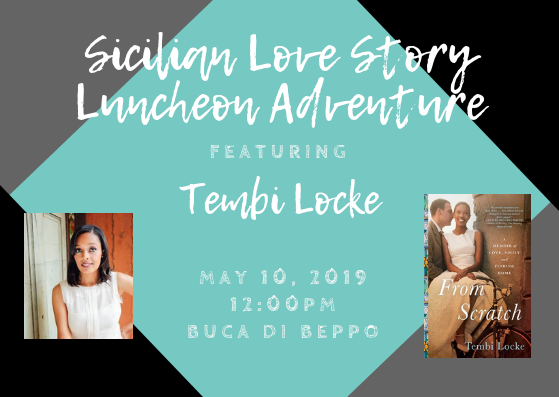 When an invitation arrives to the biggest wedding their small town has seen in years, Mrs. Binat excitedly sets to work preparing her daughters to fish for eligible— and rich— bachelors, certain that their luck is about to change. On the first night of the festivities, Alys’s lovely older sister, Jena, catches the eye of one of the most eligible bachelors. But his friend Valentine Darsee is clearly unimpressed by the Binat family. Alys accidently overhears his unflattering assessment of her, and quickly dismisses him and his snobbish ways. But as the days of lavish wedding parties unfold, the Binats wait breathlessly to see if Jena will land a proposal— and Alys begins to realize that Darsee’s brusque manner may be hiding a very different man from the one she saw at first glance.